Grilled Chicken and Spinach Salad with Balsamic Vinaigrette courtesy of Skinnytaste.com (5 points): I haven’t actually tasted this yet, but it smells delicious. Will update you as I know more. 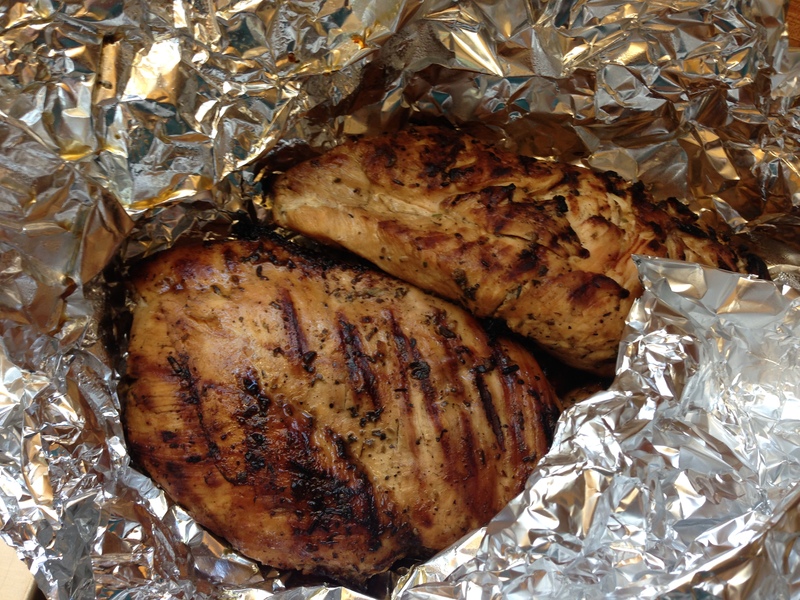 Grilled Pesto Chicken: Not sure how many points this has because all I did was pound two chicken breasts to uniform thickness and added to a storage bag with a tablespoon of pesto. 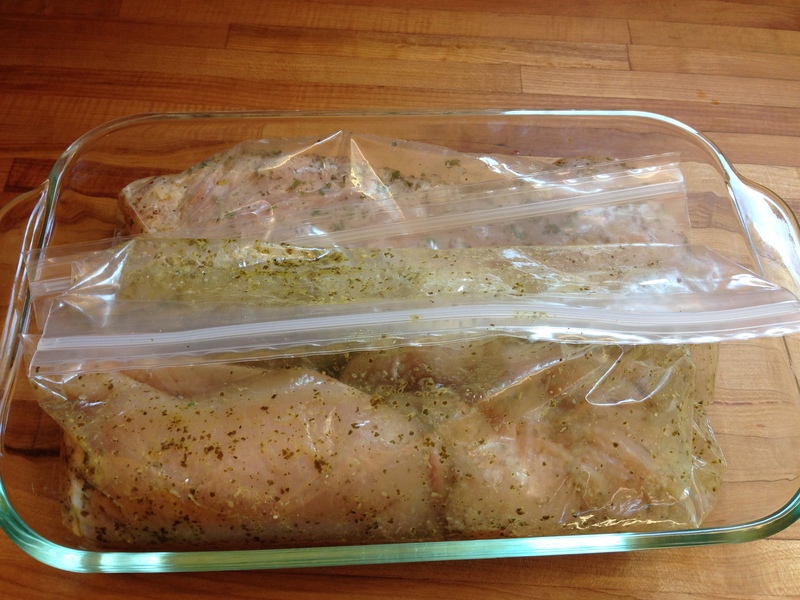 Then I just squished all around until the chicken was covered and marinated in the fridge for a couple of hours. See? 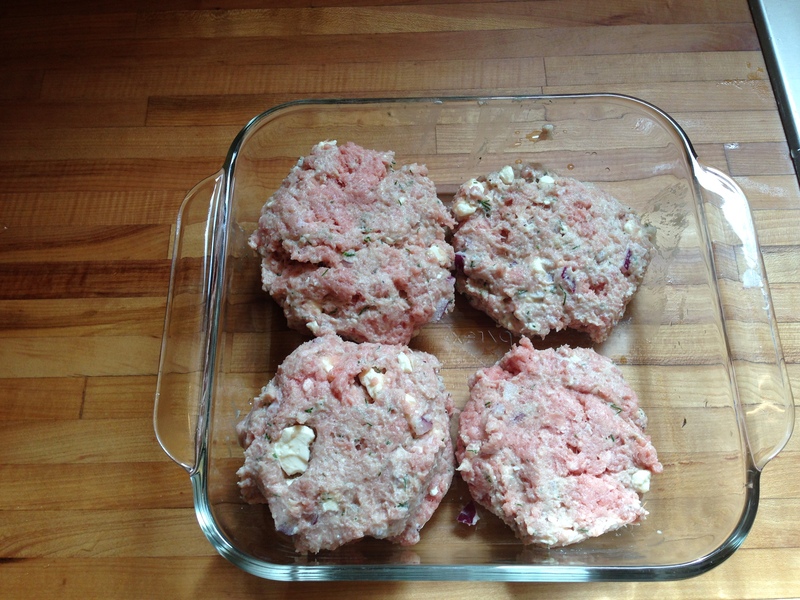 Next up is a Greek Turkey Burger Recipe I found on http://www.laaloosh.com. 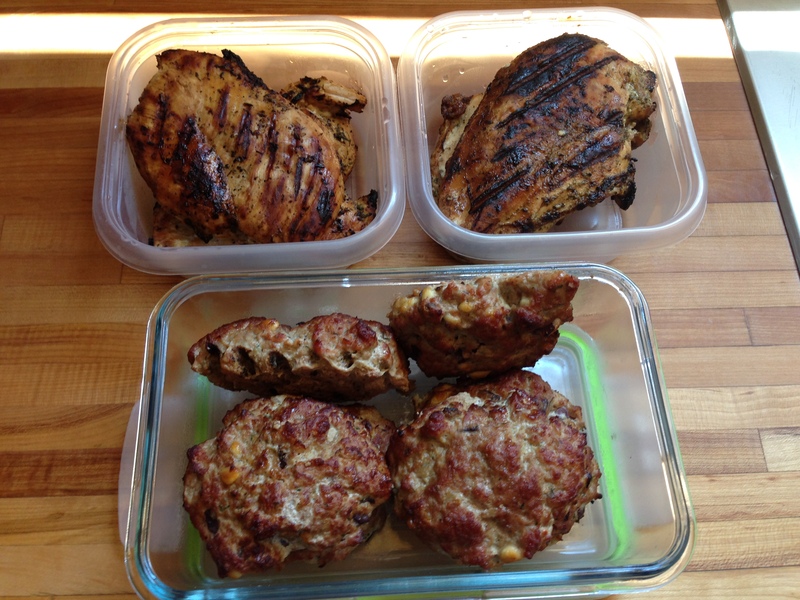 Now that I have some main ingredients, I plan to match these items with salads and veggies throughout the week. I’m also planning to make some 4-point tostadasand too! Speaking of tostadas, I found some baked tostadas today that I’m going to use to dip in salsa (ahem…really I mean cheese dip, but just go with me here). 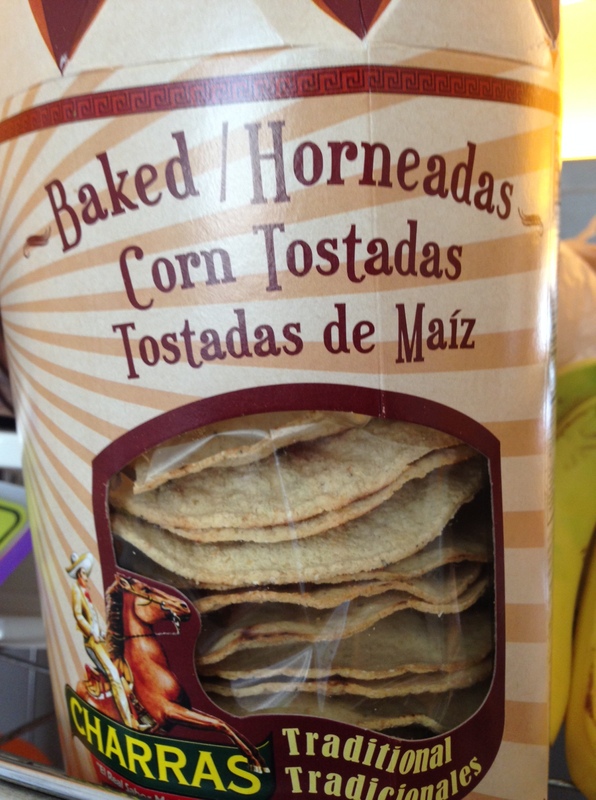 They are called “Charras Baked Corn Tostadas” and I found them in the tortilla section. TWO tostadas = 2 points, which is fantastic. I’ll use these instead of fried tortilla chips the next time I order some cheese dip to go. Stay tuned to FoodRevival over the next couple of days as I hope to update you on how all of these recipes/meals turn out and because I’m going to challenge myself starting tomorrow (Monday) to get off Facebook for a week. I think when I publish these posts they automatically update on Facebook, but just know I won’t see any questions/comments on the Facebook thread until I log back on next week. Wish me luck. I hope this inspires some of your meals this week. Here’s a big ‘ol hooray for springing forward today. I think we could all use a boost forward, right?